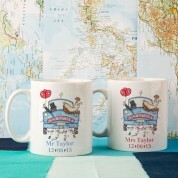 This set of two wedding mugs is the perfect gift for any newly wed couple. 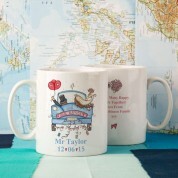 Each mug comes personalised with the bride or groom's name on it, wedding date, and a personal message of up to 50 characters on the back. They will love receiving a gift that they can use everyday, to remind them of their special day together. 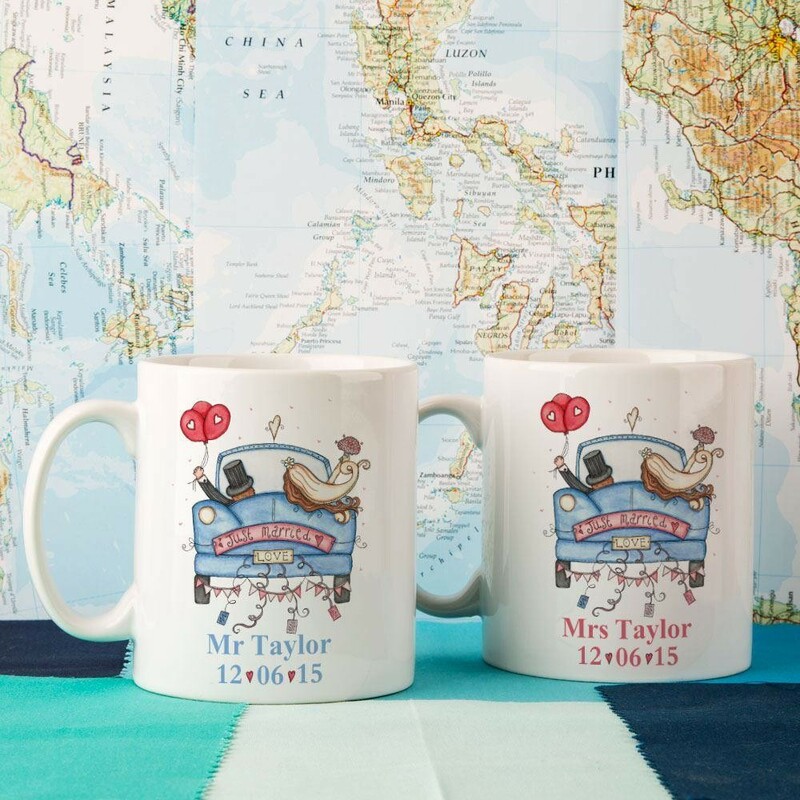 It features an originally hand drawn illustration on the front of each mug, of the bride and groom setting off in their wedding car. The bride and groom will have their name under the illustration (you can choose to use their first names or Mr and Mrs), and the date of their wedding sits just below it. 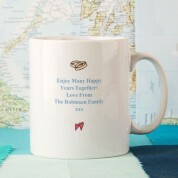 The back of the mugs have a short personal message of your choice, that sits in between a tartan bow and two love hearts. There is also a Scottish bride and groom mug design available. Additional Information: These mugs are made using the same process as what others may call 'dishwasher friendly'. To get the most from your mugs, we would recommend that you hand wash them.